Notes: Architects: Memorial Hall/Art Gallery, Bldg. #101 - H.J.Schwarzmann; Department of Public Comfort, Bldg. #118 - Bladerston & Hutton; Main Exhibition Building, Bldg #1 - Henry Pettit & Joseph M. Wilson. 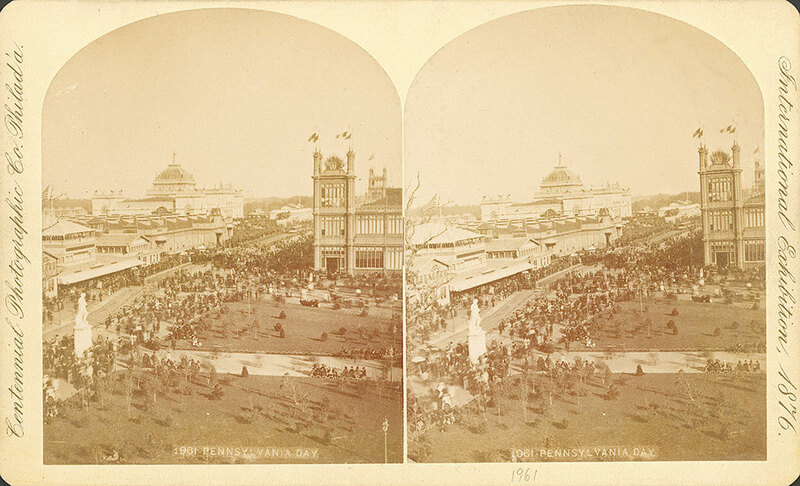 Notes: Large crowds along the roads around exhibition buildings. Buildings visible include Memorial Hall, the Department of Public Comfort, and the Main Exhibition Building.